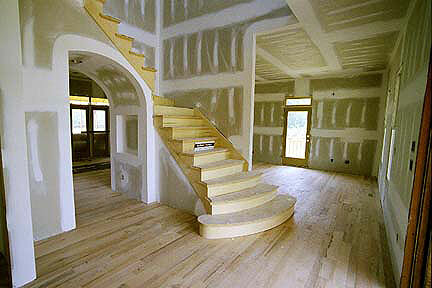 All taping and finishing is done using equal parts quality materials, state of the art tools and talent. Each finisher is well versed in new techniques as well as tried and true traditions in getting the job done right. Whether flying through a commercial building with stilts and a bazooka, or simply hand taping a difficult angle 30 feet off the ground, experience makes the difference between a so-so job and a professional one. State of the art tools.